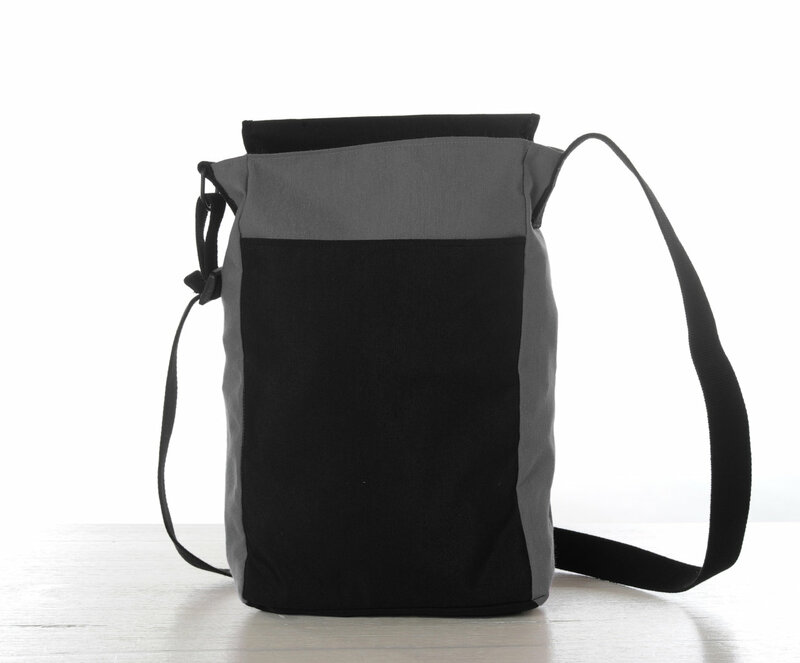 If your color is grey, this is your handbag. 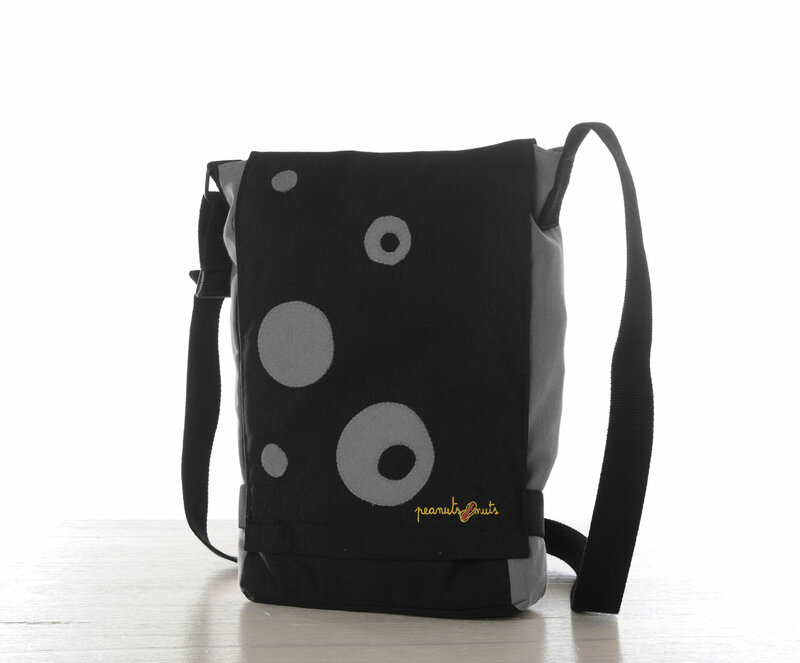 Bag made of cotton canvas in black and grey canvas on the sides and the front. 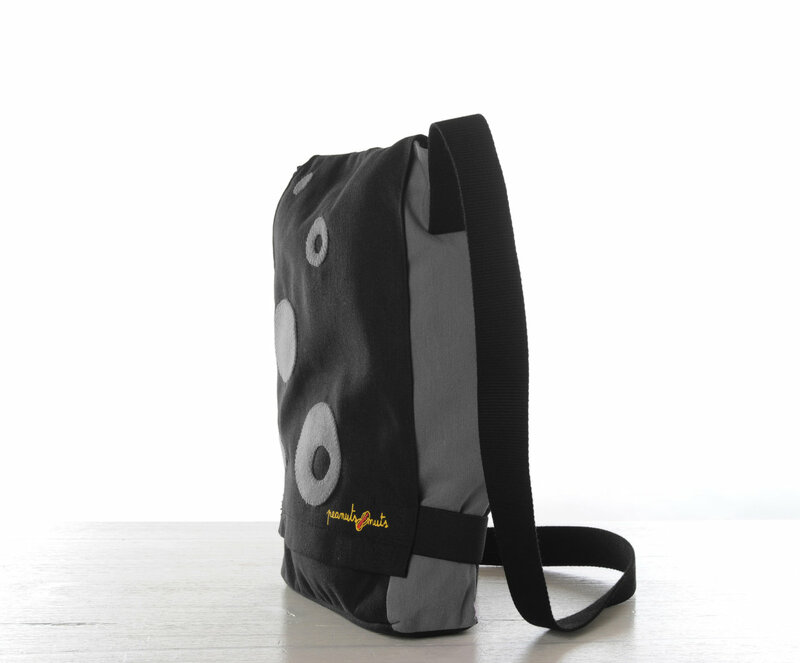 It has an interior pocket made with grey and an outer pocket on the front.